Anywhere, anytime, travel and connect with Langogo. 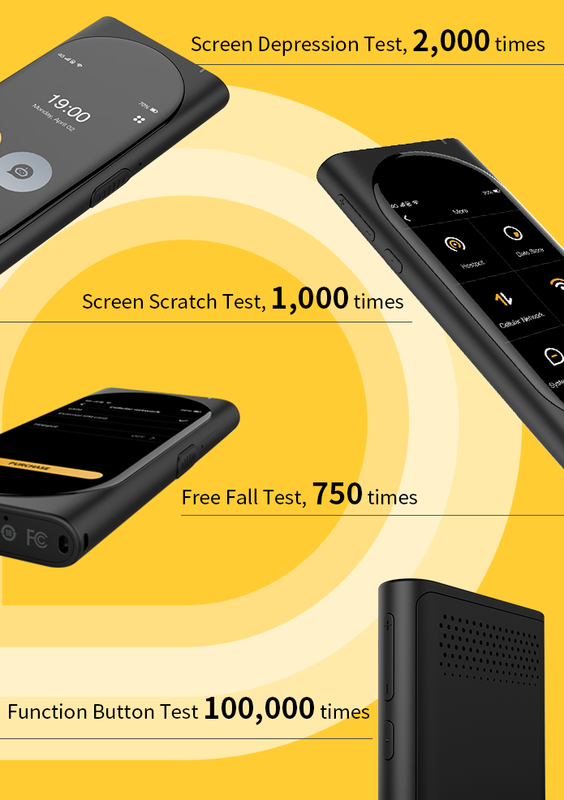 Made for global travellers, Langogo accurately translates speeches between 60 languages in less than 1 second and helps you stay connected with global Wi-Fi anytime and anywhere, bringing you a world of conversations at your fingertips. 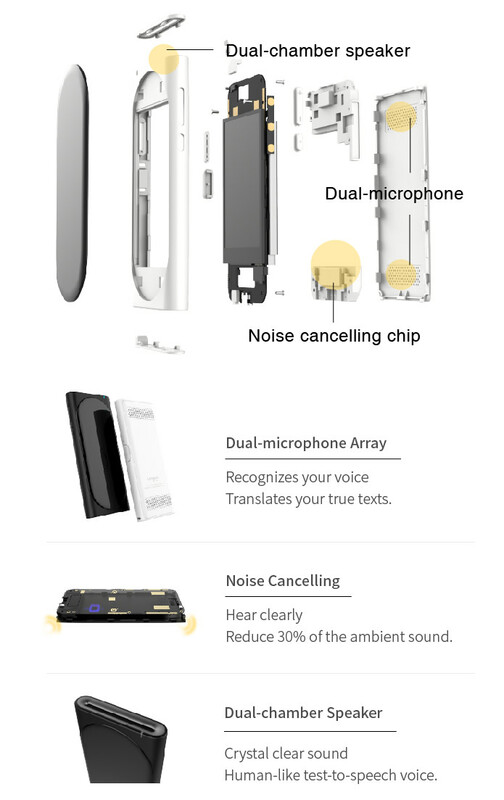 With its AI voice assistant by your side, you will be ready to go out and speak out loud! Easy to hold in one hand and carry anywhere you travel. At the airport, at the local market, in a restaurant or a café, or even at an international fair, you can use Langogo to translate, connect and ask questions. Immerse yourself in new places and cultures, start a business talk or even study a new language, Langogo can take you there! If you drop your Langogo while in a rush for your next destination, don’t worry, it won’t break! With the Shatter-resistant materials – polycarbonate, Asahi glass and capacitive screen- Langogo is built solidly to survive on the go. Langogo translates between 60+ languages. Speak English and it speaks Japanese back to you, actually helping to carry out a two-way conversation. More than just two-way translation. Langogo is incredibly convenient. Read the display texts and adjust the volume whenever you need. With the streaming technology, Langogo translates in less than 1 second to create real-life conversations. The built-in noise cancelling chip helps reduce ambient noise, ensuring clear sound quality. Plus, thanks to its superior voice recognition, Langogo accurately recognizes your voice and translates what you say, not the background noise! Almost the same sound quality as when you talk on a noisy street and in a quiet café. Speak like a local; facilitated by AI Langogo learns the way you speak! Langogo is connected to the largest language database and integrated to 24 translation engines to make sure it’s translations sound as natural and accurate as possible. The more you speak, the smarter it becomes! Travelling outside your comfort zone is good, travelling worry-free is even better! Langogo brings it’s AI voice assistant capabilities around the world. Find a restaurant, navigate to your hotel, hail a taxi; just ask EUri and it delivers! Feel free to have a chat with Euri on your solo travels as well! Roam freely in 72 countries (see the FAQ for the country list) and share every “wow” travel moment instantly via social media when you hit a new destination. Combining with Cloud-SIM Technology, Langogo helps you to truly connect with people. No need for a physical SIM card. Just switch on and it automatically connects to the best local networks. Tap to turn on Wi-Fi hotspot and connect with up to 6 devices, saving your data costs and phone battery. Share the Internet connection with your own devices and your real travel buddies. Combining AI technology and cutting-edge Cloud-SIM Technology, Langogo is ready to connect you to local networks, smartly bringing together translation and voice AI assistance back to life. Travelling is fun. When you got lost on your travels, find it difficult to order food, or get on the wrong train, bus or even plane- due to a language barrier- you might feel discouraged, even wanting to stop or slip back into your comfort zone.